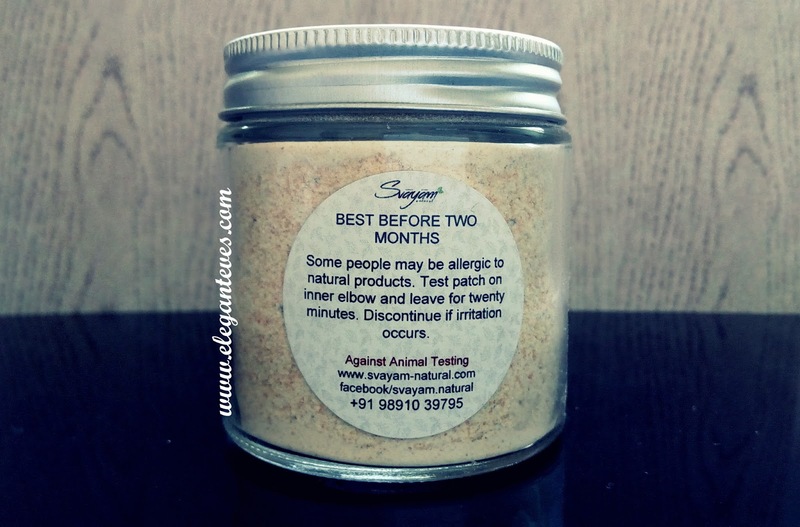 Hey beauties, I am back with skincare reviews marathon for you guys once again :D My last post was about the first impressions on the products sent across by a brand called Svayam which are handcrafted skin treats (Check the post HERE) Since then I have been using these products and I feel it’s about time I write about them. 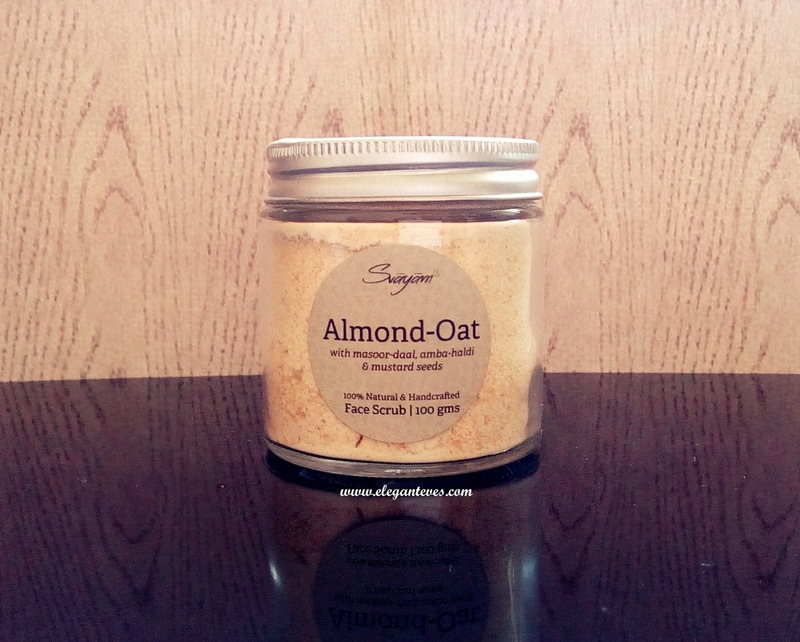 So, the first one will be on Almond Oat Face Scrub. Read on to see how it fared! Ingredients: Almond flour, Oats, Masoor Daal, Amba Haldi (CURCUMA AROMATICA, ZEDOARIA/WHITE TURMERIC), Mustard Seeds. Packaging: It comes in a glass tub packaging with tin screw lid. 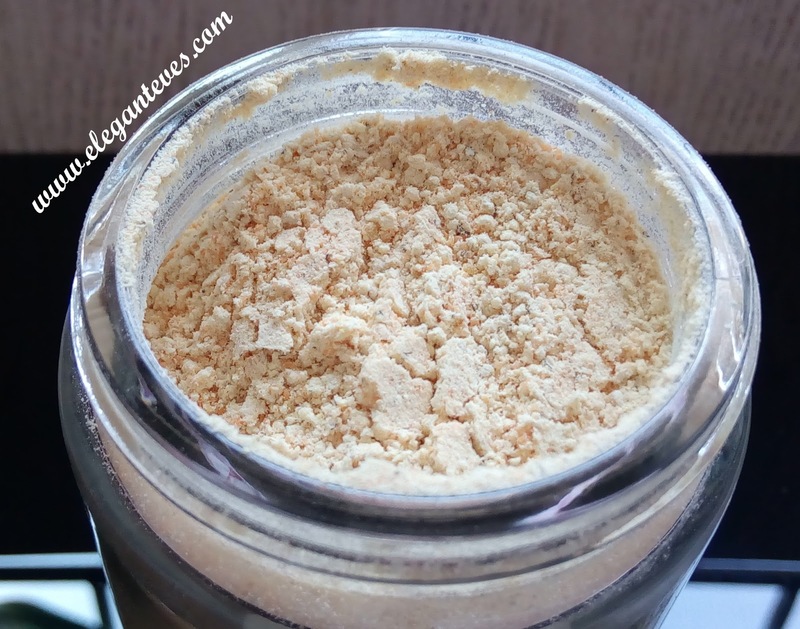 My take: All of you know my love for do-it-yourself beauty recipes with natural ingredients (Check our extensive DIY section HERE). 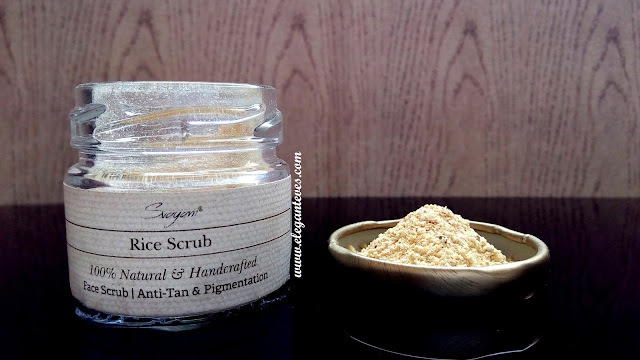 This scrub actually made me feel nostalgic about the scrubs my mom and granny used to make for us in childhood! No additional fragrance, no added colors, just a very homely concoction of natural ingredients. 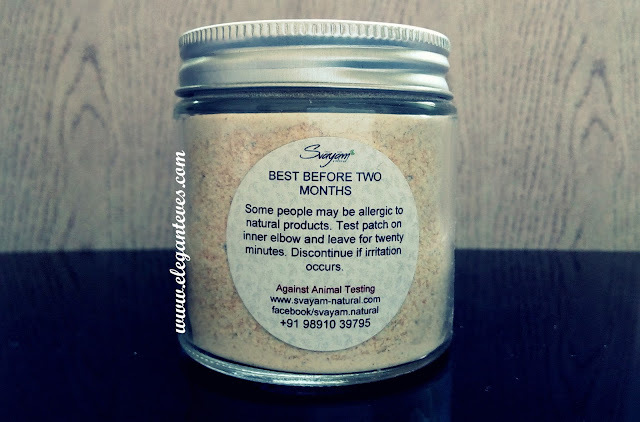 I was intrigued with the mention of “mustard seeds” in the ingredients because that is one ingredient which my mum said that my nanima (maternal grany) used to include in the face and body packs. I have never seen any other product of recent times using mustard seeds. Also, Amba Haldi or White turmeric is a variant of the turmeric family which is also known as Mango Ginger. It has high anti-inflammatory properties and antiseptic qualities. So addition of the same in any scrub would be a boon for the skin! 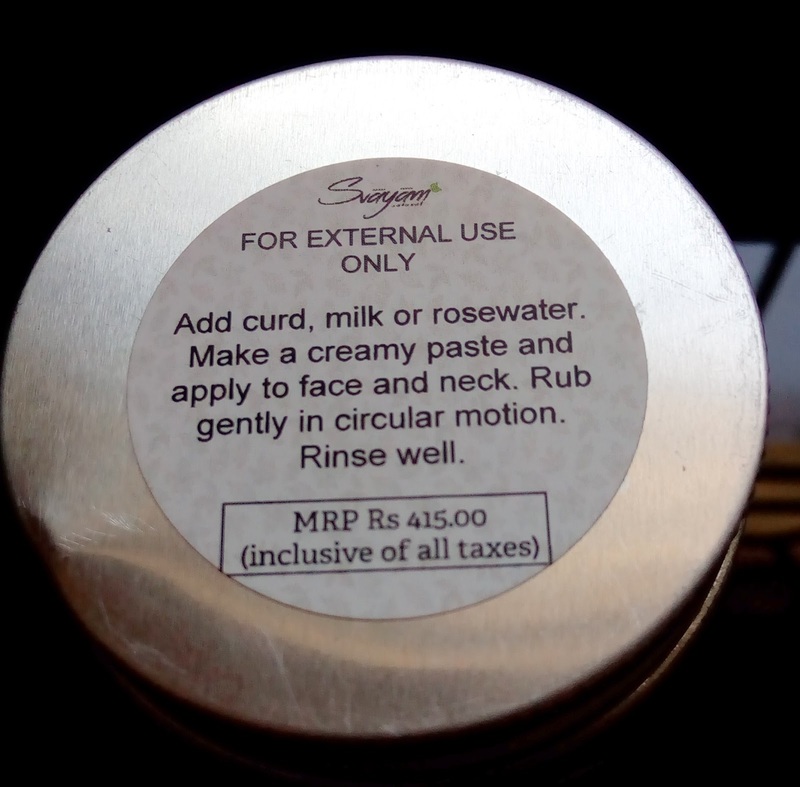 Since it was mentioned to use to the scrub with rosewater, curd or milk, I chose the last because of my dry skin. I took enough milk to make a paste and started massaging the face with the mixture. The grains, as expected, were very soft on skin and didn’t feel gritty at all. I massaged for about 4 minutes post which I washed off my face with clean cold water. I felt an instant rejuvenation of skin :D my face actually looked polished and glowy! Also, unlike the other chemical filled scrubs, this did not leave my skin dry. I am super happy with the product. Also, they sent across a deluxe sized sample of their “Rice Scrub” which claims to fight pigmentation and tan. I used that the second day on my hands (since my hands are the only part which actually tans). This one also didn’t fail to impress me! Although I would mention here, the rice scrub is more granular than the Almond one. 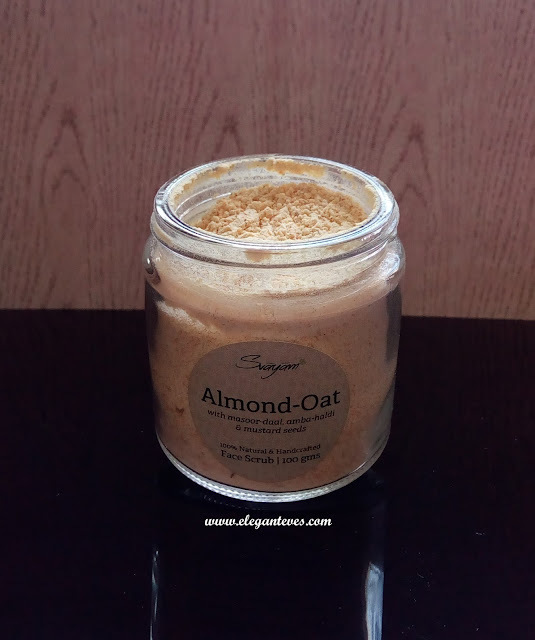 If you have very sensitive skin, keep the almond one for face and the Rice one for body. 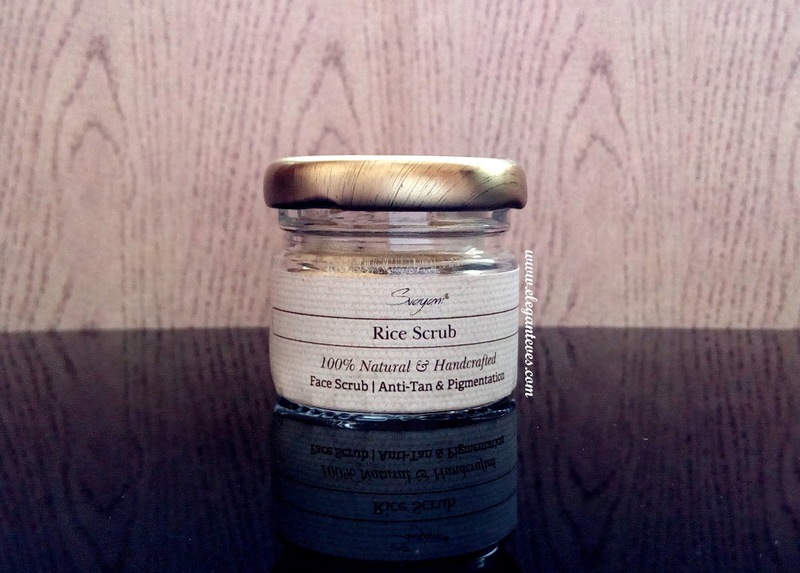 The Rice Scrub sells for Rs. 375 for 100ml. The packaging of the full sized product is exactly same. The one showed here is a sample sized jar. 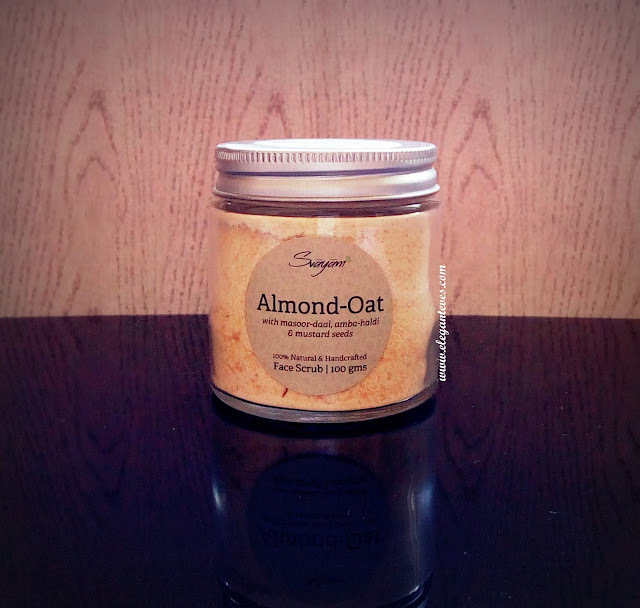 · A full ingredient list can be added. · The packaging can be made more travel-friendly. I am brimming with excitement about the quality of these products. Also, the patriot in me is satisfied when I get top notch quality products manufactured in my own soil J Keep coming back to this space for reviews of the other products!